The CM Yogi Adityanath's ultimatum comes just a day after deputy CM Keshav Prasad Maurya visited Ayodhya on Sunday. While he visited Hanuman Garhi there, he also said that he was a ‘karsevak’ (volunteer for the temple) himself. 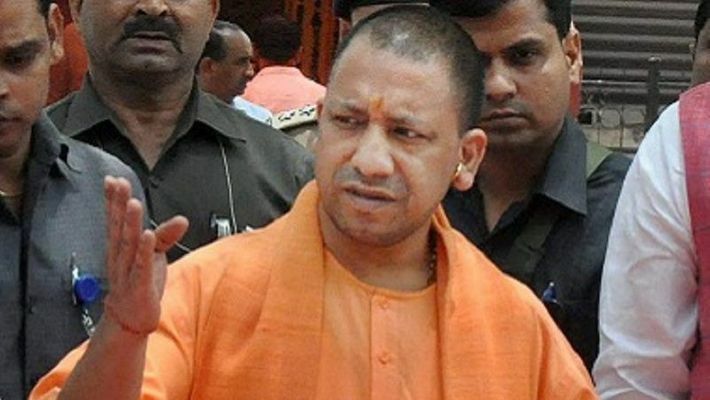 New Delhi: In a fiery Hindutva-powered speech, Uttar Pradesh chief minister Yogi Adityanath on Monday gave an ultimatum of sorts on the Ayodhya Ram Temple issue. He said the matter must be resolved in 24 hours. This is by far the biggest statement on the issue by the CM. Speaking in the UP Assembly, the firebrand BJP leader said that not just Ayodhya, Kashi and Mathura too were in UP. He was hinting that the government might raise the issue of the two temples — which were destroyed and mosques built on them — before 2019 general elections. “Ayodhya’s identity is due to Lord Ram and not owing to Babur. The faith associated with Ayodhya must be respected” — CM Yogi Adityanath. The chief minister targeted the Samajwadi Party-Bahujan Samaj Party ‘mahagathbandhan’ also during his speech. He reminded the assembly that it was the SP government which had raised opposition to Mayawati’s parks and statues. “Now that the Supreme Court has slapped a fine on Mayawati over the statues, will the bua and bhajita share the burden of the fine,” he quipped. The CM’s ultimatum comes just a day after deputy CM Keshav Prasad Maurya visited Ayodhya on Sunday. While he visited Hanuman Garhi there, he also said that he was a ‘karsevak’ (volunteer for the temple) himself. “BJP can never compromise on Ram temple. I am a karsevak and a Lord Ram devotee. A grand Ram temple will be built in Ayodhya and I will join as karsevak in the construction process” — Dy CM Keshav Prasad Maurya. The deputy CM further said that “while we cannot go back on the promise even by an inch, we will have to wait for the SC ruling in the matter”. Last Friday, Baba Ramdev had stoked controversy when he had said that Lord Ram was the ancestor not just of Hindus, but Muslims as well.